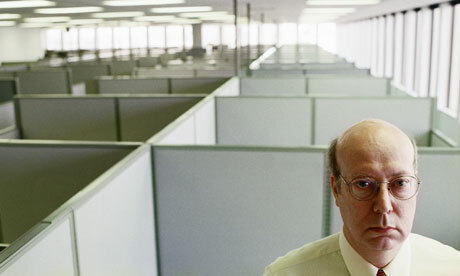 Before we ponder the heavy topic of free will, let us first turn our attention to Steve, a forty-year old man who spends his days working in a cubicle, as he has done for the past twenty years. For some people, this is the dream—Steve is very well-paid and is on his way to becoming manager—but not for Steve, who finds no fulfillment in this lifestyle. Yet he has resigned himself to a whole life of this work simply because it is safe: it is what he has done for as long as he can remember. Steve’s choice to continue working in this unfulfilling job has been shaped by habit; he has forgotten his capacity for spontaneity and his ability to choose. Habit, as will be used throughout this paper, is a term that encompasses two concepts: routine and habituation, where routine is defined as “an unvarying and constantly repeated formula”  and habituation is defined as “accustoming a person, the mind, etc. to a particular situation” . Using arguments from recent findings in psychology as well as ideas from philosophers Immanuel Kant and Rene Descartes, I will argue that actively choosing to rebel against routine and habituation to our social conventions is a means of freely exercising our judgments. Thus we can already associate System 1 with our inclinations to mindlessly make choices based on habit and System 2 with our abilities to consciously make decisions using these “effortful mental activities” (21). To further clarify the difference between the habitual decisions and conscious decisions we make, it is necessary first to arrive at a better understanding of judgment, which is defined as “the ability to make a decision or form an opinion objectively, authoritatively, and wisely” . We can further understand judgment as having the ability to use the freedom of our minds to consciously make decisions based on the circumstances presented to us. Each individual circumstance, then, dictates a new examination of the facts and our possible courses of action, and this gives an inherent element of spontaneity to judgment, because we will never know for certain how we will act in a situation until we actually perform the act. Clearly, judgment is associated with System 2, which is the “conscious, reasoning self that has beliefs, makes choices, and decides what to think about and what to do” (21). On the other hand, System 1 “effortlessly originates impressions and feelings that are the main sources of the explicit beliefs and deliberate choices of System 2” (21). We can never “turn off” our intuitive System 1, and thus a shockingly high number of our decisions—over 90%—are made solely through it; rarely, if ever, do we feel the need to use our System 2, the conscious, deliberating part of our brain, to justify or even override the habitual choices we make as a product of our surroundings and social conventions (Hadhazy). Why do our brains have such a surprising reliance on habit (and therefore lack of judgment) when it comes to decision-making? First, in a majority of situations the intuition produced by our System 1 is sufficient for everyday situations. For example, if I see multiple police cars blocking off an area, I do not need to use my judgment to interpret the situation because my habituation to my environment has already trained my intuition to give me the (correct) impression that it would not be in my best interest to venture into the forbidden area. While the automatic thinking of System 1 is useful in a lot of situations, it allows us to mindlessly rely on preconceived notions of reality and to perpetuate prejudices and bad habits. This automatic thinking almost turns us into machines, and because of it we too often forget that we actually have the power to break out of our habits and override the impulses, intuition, and habituation of System 1. Thus so many of us become like Steve – resigned to living a lifestyle that our habits, as opposed to our judgment, chose for us. The second reason our brains are so reliant on habit is our inherent laziness—following habit and intuition when making decisions requires much less effort than actually deliberating through our choices. German philosopher Immanuel Kant, in his essay An Answer to the Question: What is Enlightenment, equates this inherent laziness to immaturity, declaring that “it is so easy to be immature” (Kant 58). And why is it “so easy to be immature”? Because our culture promotes mindlessness by training us to not require free thinking to make decisions. Kant uses a few examples to illustrate this point: “If I have a book that has understanding for me, a pastor who has a conscience for me, a doctor who judges my diet for me, and so forth, surely I do not need to trouble myself” (Kant 58). Unfortunately, this inherent laziness is a consequence, albeit a certainly unintentional one, of the technological advancements which we have found ourselves benefitting from since the beginning of time. Technology seeks to makes our lives easier, but in doing so, it promotes a reliance on other products and people to do our thinking for us. After all, doesn’t it seem almost extraneous for me to learn how to derive mathematical formulas if I have computers that can perform the same complex computations for me in a mere fraction of a second? Thus, our habituation to these cultural conventions render us “truly incapable of making use of [our] own reasons” (Kant 59), and it is this habituation which makes it extremely difficult for free thinking to exist. The picture painted thus far is quite bleak; it seems almost as if we are destined to mindlessly act like robots and playact through the motions of everyday life without actively participating in them. Remember Steve? There are certainly many people who live like he does and passively let external influences—such as environment and culture—make decisions for them. But there are also certain exceptional individuals who use their internal faculties—such as free thinking, judgment, and reason—and show us that it is certainly possible to consciously reason and make decisions to escape this mindless habituation to our cultures. Descartes is one such example of an exemplary individual who broke out of this mindless cycle and rebelled against habituation in all its forms by actively questioning the “truths” and social conventions he had acquired through his education. In his Discourse on Methods and Meditations on First Philosophy, Descartes shows how he actively chooses to dispense of all his beliefs of which he “had been persuaded only by example and custom” (Descartes 6). He chooses not to give credence to any knowledge he had already acquired—whether through education, custom, or conventional wisdom—unless he could empirically prove beyond a doubt that the piece of knowledge was true. Descartes thus effectively starts over with a blank slate and freely uses his reason to consciously override the natural impulses of his System 1 in order to “avoid hasty judgment and prejudice” (Descartes 11). And in doing so, Descartes is left with no other tools by which he can arrive at conclusions about his surrounding world besides his faculty of judgment and reason. He thus is solely reliant on his internal faculties (as opposed to external influences) of judgment, free thinking, and reason to make decisions. With this new method of conscious thought, Descartes was able to free himself “from many errors that… [clouded his] natural light and [rendered him] less able to listen to reason” (Descartes 6). While Descartes is certainly an extreme example of an individual who chose to rely on nothing but free thinking and conscious decision making to come to conclusions about our world, his case certainly shows that if we choose to engage our faculties of free thinking, it is very possible to escape the habituation that results from education, custom, and conventional wisdom—all it takes is some extra effort on our part to actively rebel against our habituation to our social and cultural conventions. And knowing what we do now about free thinking, habituation, judgment, and reason, let us think one last time about Steve – how many of us find ourselves in Steve’s situation and how many of us are actively pursuing values and ideals our reason led us to advocate? Life is too short to waste our time mindlessly following social conventions and habits if we do not find fulfillment in them. Our ability to freely think empowers us to take control of our lives and direct them to be as meaningful as we make of them. Therein lies the power of free thinking, and what a pity it would be to leave our incredible potentials unfulfilled. Kahneman, Daniel. 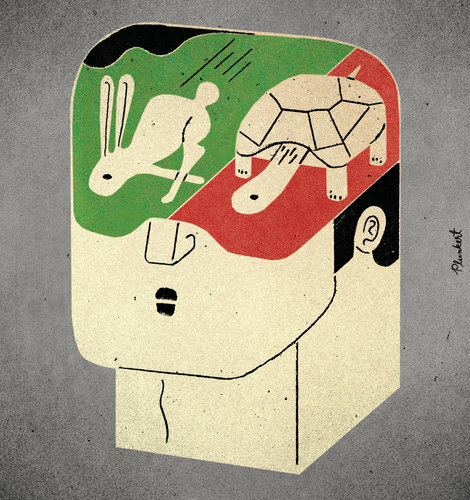 Thinking, Fast and Slow. 1st ed. New York: Farrar, Straus and Giroux, LLC, 2011. Print. Hadhazy, Adam. “Think Twice: How the Gut’s “Second Brain” Influences Mood and Well-Being.” Scientific American Global RSS. Web. 11 Nov. 2014. Descartes, Rene. Discourse on Methods and Meditations on First Philosophy. 4th ed. Trans. Donald Cress. Indianapolis: Hackett Publishing Company, Inc, 1998. Print. Kant, Immanuel. What is Enlightenment? Ed. James Schmidt. Berkeley: University of California Press, 1996. Print.